‘The whisky which I picked to bottle, is something I’m excited about and want to drink. Everything else is secondary, but I’d prefer to release “drinkable whisky” rather than anything expensive or rare.’ David Bennett, the founder of Chorlton Whisky told us. David was a normal whisky lover before he started Chorlton Whisky, at the point when he decided to start he had no idea of all the practicalities. However, the brand still managed to get popular in two years, it is because Chorlton Whisky is operated only by David, from selecting casks and designing labels, and David pays attention to every detail, this makes every bottle of Chorlton Whisky is able to show the characters of the brand. In addition, Chorlton Whisky received great reviews from different websites and bloggers, but it is sad to tell most of their previous releases had less than 100 bottles, it is not easy for the public to get one and try it. This summer they had two new releases and this is a great opportunity for you to know about it. Moreover, you may be curious of the consistent style of label design. David told us that he was inspired by medieval manuscripts and developed the designs himself, this is why their labels look like art pieces! 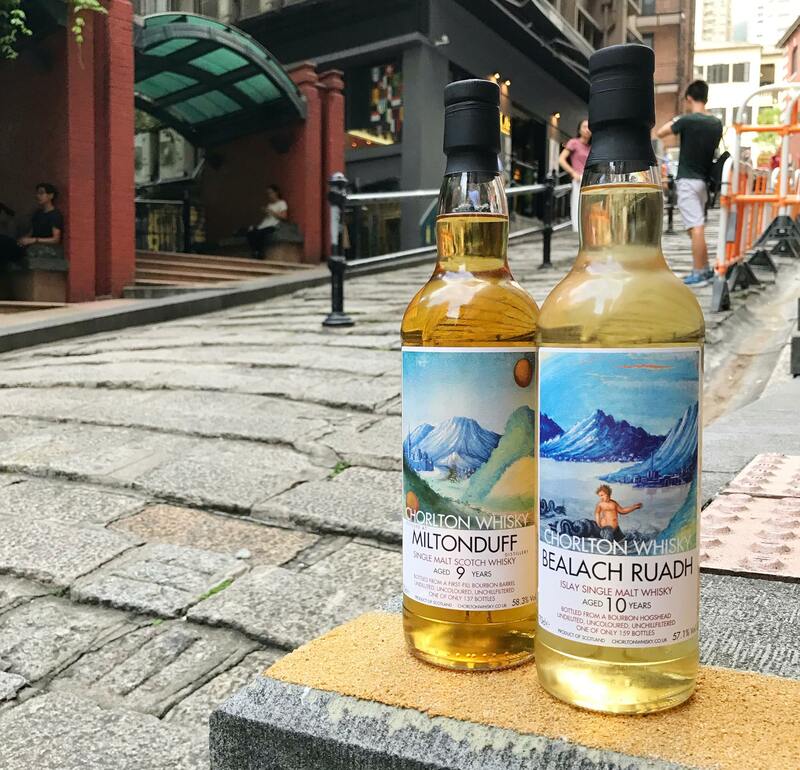 Only available at The Rare Malt in Hong Kong. A special release for the summer! Starts off very fresh, lemony and floral before richer notes of banana, custard and chocolate cornflake cakes come in. On the palate it’s creamy with strawberry jam and banana split, undercut by some zingy lemon and green apple. Not an intellectual whisky, by any means, but great fun, summery and quirkily charming. Another of our secret smoky Islay single malts, this time bottled for Fèis Ìle 2018. 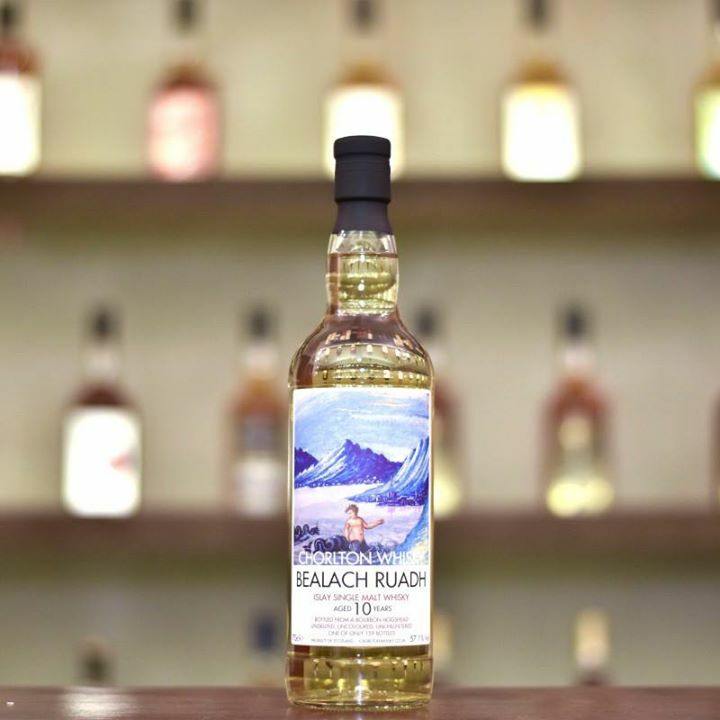 This one starts on a wonderfully fresh, lightly peaty coastal note, with some nectarine. On the palate it’s initially creamy and citrussy (mandarins, definitely!) before a big herbal and tarry wave of smoke comes in. Really drinkable at cask strength, and (for me anyway) dangerously moreish.